As a small business you will have a number of on-going expenses to consider. A few of these would be licences & insurance, staffing & wages, stock purchases, marketing and POWER BILLS! These outlays will generally continue to rise in cost however a small commercial solar install will help reduce one of these – can you guess which one! Getting started can be the tricky part as there are now over 5,000 solar installers across Australia with an abundance of different solar packages containing different sizes, brands and warranty periods. Picking the right option for your business should be based on a well-informed decision so we have placed below some key things to consider to get things started. 1. Is the building yours? If you are both the business and building owner then this is a great start as you become in control of your roof area. If the building is leased/rented then we advise that you speak to your landlord first and tell them that you would like to investigate solar for your business. At this point you will generally hear 1 of 3 things which will either be “go for gold” , “a simple no followed by a particular reason” or “investigate further and lets see what the numbers look like” at which point you can now make the call to go to the next stage. 2. What are my monthly/quarterly power bill costs and consumption patterns? Firstly, how often you receive the electricity bills and the total cost should be known. Understanding your own load profile however can be a little less considered. Are you a business that runs 9-5 – 5 days a week, do you work during weekends, is power left on/needed 24/7 , do you use more power during the day or at night are a few questions to ask yourself before considering solar. The idea of solar is to off-set your daytime consumption so if there are any adjustments that you can make to potentially use more power during the day – this would be another great reason to consider solar and off-set more of that pesky power bill. 3. How much money am I prepared to invest? Whilst having money in the bank is great not all small businesses are cash-flourished! Luckily there are several ways in which a small business can invest in a solar array which include loans, Power Purchase Agreements (PPA’s) and Operating Lease’s. Please see here for a detailed rundown. 4. What system size do I need? Some businesses may be limited by roof space available, some may have just enough whilst others may have an abundance of space with only a relatively small power bill. Whichever category you fall under sizing is important. 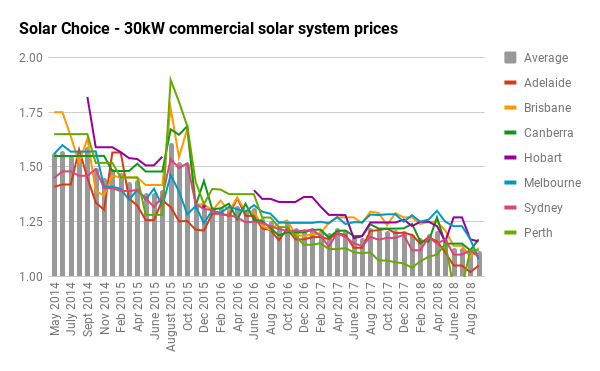 Electricity retailers will generally either give you nothing or pay a relatively low Feed in Tariff rate, this means that if you have a larger solar system than what your consumption pattern is the excess power goes back to the grid. This is generally a scenario you want to avoid although on occasions cannot be helped. By selecting the right system size from the start this will ensure a faster payback period from your initial investment. 5. Am I entitled to a Government rebate? The short answer is a simple “YES”. The Federal Government rebate comes in the form of Small-scale technology certificates (STC’s) and is applicable to all small businesses looking to invest in a solar array for the first time. If you would like to know the current value of each certificate as well as complete a calculation on how much rebate you would be entitle to, please see Green Bank for assistance. Generally as a rule of thumb the rebate equates to around 1 third off the cost of a solar install price. 6. What products should I use? 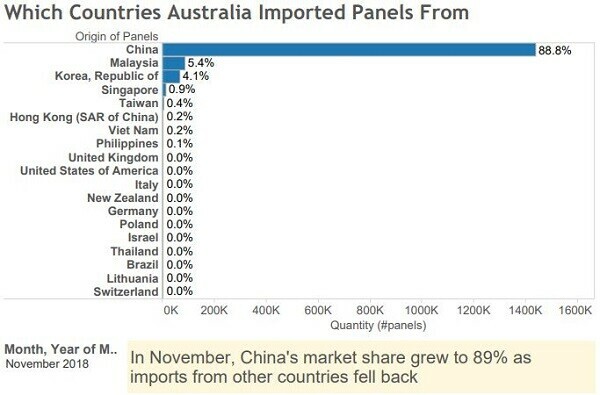 What is important to consider is do these manufacturers have locations in Australia? If they do then they are generally a more worthwhile consideration as the warranty will feel more secure rather than a direct import from overseas with no Australian support. 7. How quickly will I see a return on my investment? Typically due to investment costs continuing to drop payback periods fall between 3-5 years. This does depend on the current rate of power that you have negotiated with your retailer and when you use your power. For a further look into this for your state please read our detailed article here. For further assistance on all of the above mentioned points and more please fill out your details via this quick form here. Alternatively you can contact Solar Choice’s commercial manager Matt Lasauce directly on 0410 124 850 and he can provide some free and impartial advice. Matt Lasauce is the Chief Commercial Manager for Solar Choice Pty Ltd.